Last Call for 3D Food Printing Workshop Tickets! 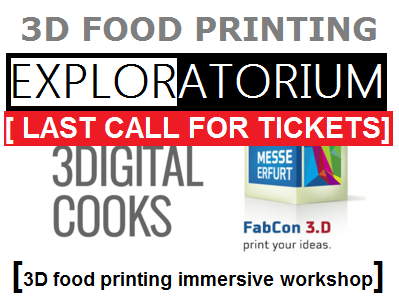 Just a quick note to give the “last call” on the final 3D food printing workshop tickets and to let you know to join us at our 3D Food Printing Workshop @ FabCon 3.D in a couple weeks. 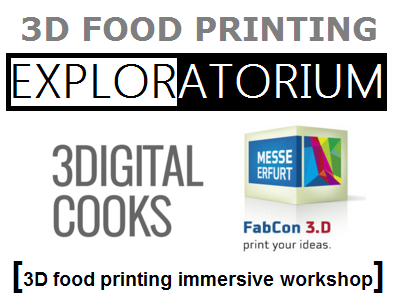 To get your 3D Food Printing Workshop tickets or registration info go HERE and get your form to Messe Erfurt ASAP! 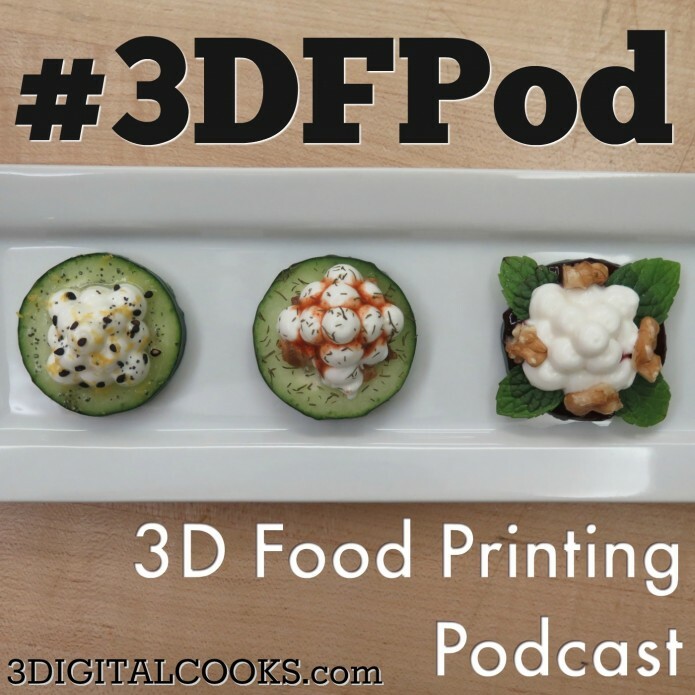 Chapter 10 is a(nother) special chapter of the 3DFPod: 3D Food Printing Workshop Podcast ! Thank you for supporting 3DC!